Earlier versions are indexed here. Having reviewed this download in my previous Roundup, Id normally be listing this under the Second Thoughts heading, but Im delighted to endorse Dan Morgans suggestion that we make it Download of the Month, especially as Ive been more and more impressed as Ive listened to it again since writing about it. Those inter-track glitches that he mentions occur only when downloading the tracks separately  always use Linns own Download Manager  but see my review of Brittens Peter Grimes below for more on the subject, especially my preference for playing 24/96 downloads with Songbird. Dan writes: This really is a nostalgia trip, as these LPs set me off on my Mahler quest nearly forty years ago. It was a happy accident when I came across this Decca set  with its distinctive fish-eye photo on the box  in my record library. After a single, stunned audition I went out and bought the records, which became the cornerstone of my Mahler collection. A couple of years ago I acquired the 24/96 Legends reissue, but found it oddly alienating. And despite the extra clarity and focus theres no disguising moments of compression and overload  at the culmination of Part I for instance  all of which seems more disfiguring on the Legends CD than it was on the LPs. Impatient to compare that disc with the 24/96 flacs from Linn, I downloaded the very large files with a minimum of fuss using their download manager. Id discourage you from downloading the tracks individually, as I suspect that causes the drop-outs and awkward joins that Brian Wilson mentioned here. First off I was pleased to see all 16 cues are retained, so useful in a work of this length. I fired up the PC, and within seconds of hearing that glorious invocation all those memories came flooding back. Soltis muscular, sometimes headlong, approach to Mahler has been much maligned by the musical revisionists, and while haste is a factor in many of his recordings it bothers me less when the performance has such authority and thrust. Yes, there are incoherent patches in Part I, but when the effect is so exhilarating its easy to overlook Soltis impetuousness. As for the roster of soloists, it reads like a Whos Who of great voices from the 1970s; more importantly, they are a very well balanced and impassioned team. But its in the crags and valleys of Part II  with all its antiphonal effects  that this performance really blossoms. The sound is warm and spacious  qualities sorely lacking in the Legends reissue  and although the soloists are quite close it all adds to the immediacy and immersive nature of this performance. It goes without saying that the orchestra has never sounded so full and well-rounded, voices well caught and upper strings clear without being strident. As for the bass, its firm, if not as extended as it is on some modern recordings, and that means the organ isnt always as physically present as Id remembered from the LPs. That said, in Wie Felsenabgrund mir zu Füßen (tr. 9) it is tummy-wobbling, the Wunderhorn sunniness of the Vienna Boys as much a delight now as it was then. Goodness, Id forgotten just how complete Soltis understanding of this work is, tempo relationships, rhythms and changing textures superbly judged. With all of that comes an unerring sense of the dramatic  he was as much a man of the theatre as he was of the concert hall  none of the symphonys nodal points missed or underplayed. In an age of numbing ubiquity, where Mahler is a booming industry, its easy to forget just how important  and earth-moving  these early recordings were, and I include Kubelík, Bernstein and Abravanel among them. Indeed, I found myself quite choked up by the forgotten felicities of this great set. It really is a deserving classic and, at last, we have a high-res re-master that captures all the awe and sense of discovery that attended those pioneering LPs. For a perfect example of this downloads analogue-like bloom  one of veteran critic Edward Greenfields famous descriptors  just listen to the full, ripe harp sound in Höchste Herrscherin der Welt (tr. 12). Such luminosity and detail is all very well, but so many Mahler Eights founder through want of cohesion and thrust. Theres no danger of that here, as Solti knows exactly where hes going from the moment he sets sail. Indeed, theres a palpable, deep-ocean swell as the ship nears port, the crows nest cry of Blicket auf a sign that land is near  those glorious harps again. 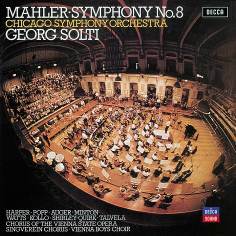 Few recordings of Mahlers Eighth have ever come close to the surge and amplitude of this one, as much a testament to the skills of Kenneth Wilkinson and Gordon Parry as it is to those of Solti and his formidable forces. Indeed, Id forgotten just how much tension Solti generates in the closing moments, or how sustained the beauty of the composers many colouristic touches. I defy anyone not to be moved  and moved mightily  by this approaching apotheosis, the massed choirs so full of certainty and splendour. And yes, the organ makes a powerful impact here, the radiance of that great finale scarcely dimmed by that familiar compression and overload. This download knocks the Legends CD into a cocked hat; true, there are moments in both where the recording shows its age, but in its latest incarnation theres a vastly improved focus and fullness that will surely appeal to vinyl junkies. If, like me, your collection includes Mahler Eights on CD, Blu-ray and downloads, you may hesitate before paying £18 for another one. Dont, for this is one of the very best downloads Ive heard, and one that confirms just how sophisticated  and musically satisfying  this technology has become. The texts, contained in the accompanying booklet, are mainly in English, though with passages in (transliterated) Church Slavonic and Greek. The chant sections sound midway between Roman Catholic and Anglican practice on the one hand and Russian Orthodox on the other. The performance is hauntingly beautiful and the recording does it full justice. When the Bax, Butterworth and Holst items appeared in 1955 on a very short LP, they cost 36/5  over £45 in todays values. Now, unless you live in a country where copyright lasts more than fifty years, they can be yours with the addition of On Wenlock Edge for just £1.99. the latter came on a 10" LP for just under £1  another £25+ in todays money. Trevor Harvey described the Holst as scintillating and so it remains, as do the other items, in a recording which sounds stupendous for its age; though mono only, theres a good spread of sound. The performance of Wenlock Edge  warmly received at the time  is well worth hearing, but its been superseded by more recent versions. George Marans old-school diction now sounds stilted and the sound is noticeably drier, though more than acceptable. For the sake of the orchestral items, this is one of the highlights of a series which is well worth exploring if you can. Having recently reviewed the much-heralded Channel SACD of Iván Fischers Rite of Spring I was curious to hear how it compared with Littons Bergen account. But as Brian Wilson has already reviewed the downloads of both in some detail  see here  Ill confine myself to a few general comments about the Litton. First of all, its a 24-bit/44.1kHz recording, a fact thats bound to be seized upon by the inveterate number crunchers who believe ultimate sound quality can be measured using an oscilloscope. Oddly enough, many cant actually tell the difference between 24/44.1 and 24/96 until after the unpalatable facts are revealed. Anyway, thats a diversion. How do Littons readings of these two great ballets stack up? As far as the Rite is concerned, not very well. Brian is right about Fischer being very slow by comparison, but still his version strikes me as the more overtly dramatic one. Also, the Bergen band  who play very well indeed  arent quite in the same league as the Hungarians, who bring formidable weaponry to bear in those huge tuttis. And while assessing the sound quality of a download and an SACD is akin to comparing apples and oranges, theres no denying the somewhat hi-fi quality of Littons big bass drum. Also, one has to crank up the BIS recording quite a bit before it really comes alive. So, which of these Rites would I choose? Neither, is the short answer. Fischer has the extra sophistication and weight, whereas the outwardly more urgent Litton is much too reticent for my tastes; put another way, its just not the earth-cracking narrative it should be. And in terms of sound, I suspect the gap between the Fischer and Litton recordings is a lot closer than the word lengths and sampling rate would suggest  cue a rush to the oscilloscopes. But thats not the whole story, for Litton offers a fresh and invigorating performance of Pétrouchka thats rather splendid. Those fairground rhythms are most beautifully sprung, the playing is crisp and animated, and I sense a far stronger narrative here than I do in the accompanying Rite. 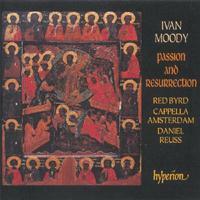 The recording  made nearly a year later  is very detailed and atmospheric. This wasnt meant to be a shoot-out between Litton and Fischer, but as were already at the corral Id suggest this dramatically coherent and colourful Pétrouchka is a far more compelling companion to the Rite than Fischers micro-managed Firebird suite. So, neither would be my first choice for the Rite, but then the flexibility of downloads means one can cherry-pick the best bits from a given recording. Thats exactly what Id do here. Until the liturgical reforms of the 20th century it had been the practice to celebrate Matins of Maundy Thursday, Good Friday and Holy Saturday during the previous evening, with the candles on a special hearse being extinguished one by one until darkness prevailed apart from one candle which represented the light of Christ. The readings for these days came from the Lamentations of Jeremiah, frequently set by renaissance and baroque composers, and the responsories linked the Old Testament readings to the events of the New Testament. Of the many settings of these responsories Victorias is outstanding and it has been well served by recordings from the Westminster Cathedral Choir and George Malcolm onwards. Last seen on Double Decca 433 9142. 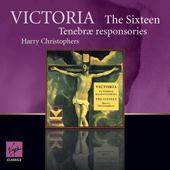 This recent reissue from The Sixteen offers a good alternative to the Hyperion (CDA66304  see March 2010 Roundup) or the Tallis Scholars (The Victoria Collection, Gimell GIMBX304, 3 budget CDs  see March 2011/2 Roundup) and does so for just £5.99. You may prefer the slightly faster pace of The Sixteen. Theres only an mp3 version, good as that is, whereas the Hyperion comes in mp3 and lossless sound, and theres no booklet of texts, but thats available to all comers from the Hyperion web site  here. rec. Pontifico Istituto di Musica Sacra, Rome, March 2011. DDD. The 1600 of the title should really be c.1660  its merely a peg on which to hang a programme designed to demonstrate the advances and developments in instrumental music during the seventeenth century as it moved away from a mere accompanying role and developed in its own right. Even a glance at the dates of the composers will reveal that half of them were not even born in 1600, let alone composing. The crucial dates are actually a little earlier than 1600: the publication in 1587 of Antonio Gabrielis Ricercar per suonar and his nephew Giovannis Sonata pian e forte (1597). Nothing here is quite that early  the earliest date given is 1608: the Fantaisie attributed to Rossi the first item was, presumably, placed first because in it the violin takes on the role of the human voice, that of Orpheus lamenting the loss of Euridice. If all this sounds like a mere intellectual exercise, let me say at once that its much more than that. 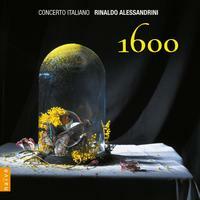 I can think of many other more vital recordings by Concerto Italiano and Rinaldo Alessandrini  the list in the booklet serves to remind us how many first-rate recordings they have made for Naïve/Opus111  but I very much enjoyed hearing this new release. Of the many other first-rate recordings which Concerto Italiano have made, my own personal favourites are to be found in their 5-CD set of Monteverdi Madrigals (OP30348, also available separately), Scarlatti and Pergolesi Stabat Mater (OP30160) and Vivaldi Gloria (OP30195), with a warning that the last two are taken at a very fast pace. If 1600 is not quite in that essential category, its still very enjoyable. The hmvdigital.com download, at £7.99, represents a useful saving over the cost of the CD; that from emusic.com at £13.44 is more expensive than the CD (available for around £12.00 in the UK). Amazon.co.uk also have it at £7.99 but currently only the hmvdigital.com version is at the full 320kb/s rate. This recording presents a sample of the music which would have been performed in the chapel of the Dukes of Braganza at Villa Viçosa in Portugal around 1736, taken from a collection dated to that year. Some of the composers are fairly well known; many are not, but everything is well worth hearing. The performances from this group of specialists in Portuguese music of the period are first-class, though the harp and organ somehow get lost in the mix. The CD is available only from Hyperions archive service, so the availability of the download is very welcome. The recording is excellent and the booklet well up to Hyperions usual standard, though without the insert for the rear of the CD case. One small niggle  Asperges me (track 1) is rendered as You will anoint me. Luckily thats a mistranslation, as those who regularly got showered at High Mass will testify  no oil involved, fortunately, only water. Thou shalt purge me with hyssop and I shall be clean. Reinhard Keiser, born a few years before Telemann and Handel, once considered the equal of both, now has to rest content with a few lines in reference works where their entries run to pages. He normally has to share CD programmes with other composers, but his two most famous operas have been recorded  Krösus (Crsus) on Harmonia Mundi HMC90 1714/16, 3 CDs, and Nuova Era NE693435, 2 CDs; Masaniello Furioso on CPO 999 1102, 2 CDs. I reviewed a good workaday recording of Fredegunda on Naxos 8.660231/32  here. His St Mark Passion is in many respects the forerunner of the two well-known Bach Passions and even more so of his lost St Mark Passion. 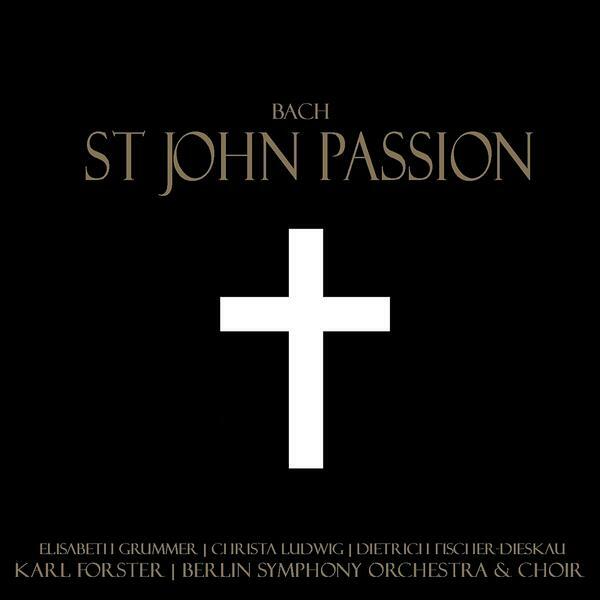 Its likely that JSB performed it in Leipzig  a concise work, with far fewer arias than we are used to from Bach to delay the progress of St Marks narrative, itself shorter than those of the other evangelists. Ive described the performance of Fredegunda as good workaday rather than Sunday best. 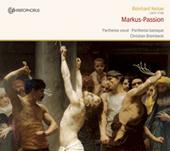 This period-instrument version of the St Mark Passion is better than that, if not quite out of the top drawer; its well recorded, and it comes with the booklet of notes, texts and translations. If you are looking for a lossless version, prestoclassical.co.uk can offer that  here. Camerata Bern/Erich Höbarth (violin)  rec. December 2010. DDD. Ive lumped these two recordings together because they both contain instrumental music from the Cantatas, though the ECM includes only three such items and concentrates on music with a prominent oboe part, well performed by the now veteran and always thoroughly reliable Heinz Holliger. Ive said three because the so-called Easter Oratorio is actually a cantata. I enjoyed this rather more than the Decca, though both are thoroughly recommendable. The emusic.com recording cant begin to match the 24-bit Linn download of the Decca  most tracks are at only around 220 kb/s  but it sounds better than the figures might suggest and it can be yours for just £6.30 or less as opposed to £7.99 from amazon.co.uk for a version likely to be at most at 256 kb/s. Though hmvdigital.com offer some downloads in 320 kb/s format, their version of this comes at just 192 kb/s, again at £7.99, so the emusic.com is your best bet. The idea of taking the opening sinfonias from Bachs cantatas and weaving them together into an orchestral concert is less unusual than it may appear since Bach himself was a frequent borrower and adapter of his own works. The result on Decca is extremely enjoyable, the performances stylish and mostly brisk but by no means too brisk. It restored my faith in Dantone and the Accademia Bizantina after being impressed with their Vivaldi (Arts 47564 and 46565  see review) but slightly less so with their recording of Bach Keyboard Concertos (Decca 475 9355  see review). 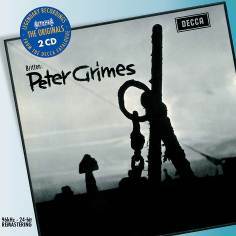 Ive already commented on a number of Decca reissues from Linn in the previous Download Roundup and I include their download of Brittens Peter Grimes below. Those are all taken from 24/96 re-masters of earlier recordings but this Bach recording is the first to have been originally recorded in that form, so it benefits especially from having been made available as a Linn Studio Master download. Hardly surprisingly, it sounds first-class and, at £18, comes at what seems to be becoming the going rate for 24/96. If youre happy with CD-quality 16/44.1 (£10) or even mp3 (£8) these formats undercut the price of the CD. Im not sure how we came to designate this a budget recording; I havent found anyone offering it much below £12. Though Id already heard the Beulah Extra releases of Nos. 1 and 3 and Nos. 2 and 4 Im still amazed that such stylish performances had passed me by. At a time when my friends and I thought ourselves the cats whiskers for listening to performances of the Brandenburgs and Vivaldis Four Seasons from Karl Münchinger and the Stuttgart Chamber Orchestra  now sounding worthy but very dated  Max Gobermann and the NY Sinfonietta were recording versions which still sound well alongside more recent period-instrument accounts. The recording has held up well, too  if you dont like the harpsichord to sound too prominent, youll have to accept that that was the way that recordings of Bach were balanced them. Having greatly enjoyed Richard Tunnicliffes voyages of discovery with the Avison Ensemble for the Divine Art label, I was looking forward to hearing him in this more familiar repertoire for Linn. For all the small reservations which Im about to express, let me say at once that this new recording is a fine addition to the list of distinguished recordings of these Cello Suites. Any recording of the Bach Cello Suites has a number of formidable obstacles to overcome. First and foremost the music must retain its cerebral and academic appeal yet at the same time retain the character of the dances which it incorporates and appeal to the emotions  a problem which these suites share with the Goldberg Variations and the Well-tempered Klavier. Then the performances must compete with a number of highly recommendable predecessors, both recent and historical, from Pablo Casals, via Paul Tortelier (EMI Classics for Pleasure) and Pierre Fournier (DG) to Stephen Isserlis (Hyperion CDA30001/2  see October 2010 Roundup). The Isserlis has become my benchmark recording and it comes at mid price on CD, though the downloads are charged at the regular £15.49 for the two CDs, mp3 or lossless. Linn have trumped Hyperion price-wise by offering all versions, from mp3 (£8.00) to 24-bit (£18.00) and hybrid SACD (£15.00  slightly less from some dealers) as 2-for-1. Whereas Isserlis reports having toyed with using a 5-string cello for Suite No.6 but eventually opted to play it on the conventional 4-string instrument, Tunnicliffe uses a 5-string instrument of the kind apparently required for one of Bachs cantatas. Both the instruments employed date from the 1720s, the period in which the suites are believed to have been written. Three clear advantages, then, in terms of the instruments employed, the availability of 24-bit downloads as well as mp3 and 16-bit, and the asking price. Tunnicliffes tempi throughout Suite No.1 are slower than those of Isserlis though not by so much as to make the differences blatant. Tunnicliffes slightly slower time benefits the sarabande (track 4), by definition a stately dance, but theres no lack of stateliness in Isserlis performance and the minuets (track 5) and the final gigue (tr.6) benefit from his slightly faster, more rhythmic and ultimately more imaginative approach  the difference is only really noticeable, however, playing one after the other, which you are hardly likely to want to do normally. I enjoyed Tunnicliffes performance in its own right and that enjoyment is not erased by my liking Isserlis just that little more. Theres a more extreme difference of opinion in the case of the allemande of Suite No.2 (tr.8) where Tunnicliffe takes half as long again as Isserlis (3:47 against 2:33). Casals and Tortelier also take this movement at roughly the same speed as Tunnicliffe, while Fournier is a little faster but still closer to the consensus. Only Rostropovich (EMI and Supraphon) of the versions which I checked comes close to agreeing with Isserlis. Surely the consensus must be right? Perhaps, but I cant help feeling that Isserliss approach is more imaginative again, retaining the stateliness associated with the allemande yet bringing the music to life for the modern listener. No-one is likely to want to sit through all six of these suites in one sitting but if anyone can tempt you to do so its Isserlis. 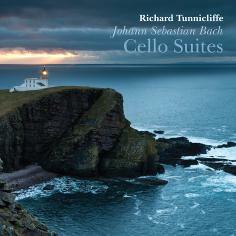 Its in Suite No.6 that Tunnicliffe scores with his use of the 5-string instrument, for the very reason which Isserlis gives for having tried and rejected it, its comparative lightness of tone. His tempi here, too, are fresher, more dancing; hes actually faster in some movements than Isserlis. I havent enjoyed the gavottes (tr.35) so much since Segovias classic guitar transcription and the final gigue (tr.36) rounds off the recording in fine style. Isserlis includes some bonuses to fill out two slightly short CDs  Sally Beamishs arrangement of the traditional Song of the Birds and some alternative movements from Suite No.1  but Linns 2-for-1 price trumps that. Both recordings are excellent  I listened to the Linn 16-bit version, equivalent to Hyperions lossless version  and both come with first-rate booklets of notes. Overall, then, its a case of swings and roundabouts. I marginally prefer Hyperions swings to Linns roundabouts but its close and I shall continue to listen with great enjoyment to both these recordings. 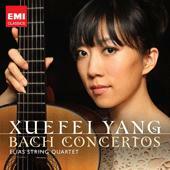 Xue Fei Yang (guitar) with the Elias String Quartet  rec.? Theres an honourable and successful tradition of arranging Bachs music for the guitar  Segovia, Julian Bream and John Williams  but these are Xue Fei Yangs own arrangements and they include two violin concertos and one for the keyboard, so theyre more substantial than most of what those distinguished predecessors have offered. 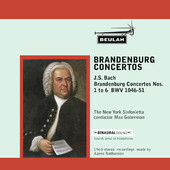 This is not for purists, though they should recall that several of Bachs concertos exist as arrangements of his own and others works; above all it is fun and I enjoyed hearing it very much. My listening was restricted to the limited bit-rate of the Naxos Music Library near-CD version, but that was good enough to encourage me to think that the 320kb/s version from classicsonline.com will be thoroughly recommendable sound-wise. Amazon.co.uk offer the booklet and charge slightly less but their downloads come at 256kb/s only. Berlin Symphony Orchestra/Karl Forster  rec. c.1961. ADD. 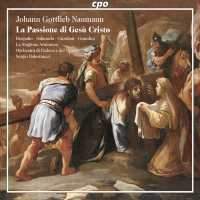 In the previous Roundup I recommended Channel Classics recent recording of the St John Passion directed by Jos van Veldhoven. There will be those who hark back to an older age of Bach recordings and this 1962 Electrola/EMI St John will appeal to them, also, I think, to a wider audience. The cast is a roll-call of the great and good of the time and the performance is far from the dreary dragged-out affair that all too often prevailed even in 1962. At £0.84 or less, its a marvellous bargain and I was very pleased to make its acquaintance again  it hasnt been generally available in the UK for a long time. The bit-rate of the transfer is very low at 152kb/s but the sound is adequate, if rather thin and with little (or no, I think) stereo placement. Theres just the odd very light clunk  more apparent on some systems than others  to remind us that the transfer was made from LPs. Were it for these, I would have made this Bargain of the Month. Amazon.co.uk have the Past Classics version for £1.38 and an Electrola/EMI download of the same performance for £7.49. Without repeating the information which you can find in Johan van Veens detailed review of the CDs, let me simply say that if youre looking for a Passion setting in the Bach mould but where the recits go with more of a swing, this is a wonderful discovery  even finer than the Gebel Christmas music which I featured last December. The download, at £9.98, represents quite a saving on the CDs which cost around £24 in the UK. There are no texts, but Luthers translation of St John is readily available online. Akadamie für Alte Musik Berlin/Bernhard Forck  rec: January 1992. DDD. Berlin Classics bill this as a first recording and, to the best of my knowledge, this is still the only version of this work by a composer of whose music there is all too little available  some online dealers dont even stock the parent CD of this download: Amazon US have it, but not Amazon UK. The music may not match either of the extant passions of JS Bach, whose student Homilius was, or Telemann, but it certainly does not deserve the neglect from which it has suffered, especially as the performance does the music justice. In contrast with many Berlin Classics recordings of music of this period, this is historically aware, but that doesnt mean that the performers dont engage with the music. The download price represents a considerable saving over the cost of the CDs but comes without notes, texts or translations. 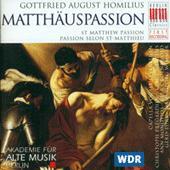 Dont confuse the St Matthew Passion with another work by Homilius, a passion cantata which begins with the same words as the opening chorus  Ein Lämmlein geht and trägt die Schuld (Carus 83.262). Readers with good memories will recall that I mentioned this recording last year in the April 2011/1 Roundup on the basis of the lossless download from passionato.com. That would still be preferable, but its no longer available and the 320kb/s mp3 version from classicsonline.com makes a completely satisfactory replacement. Symphony No.49 is a strange work even among Haydns unusual middle-period Sturm und Drang symphonies; its in f minor, a remote key for the time, and its a particularly intense work, as its nickname indicates. That intensity, combined with its old-fashioned form, derived from the sonata da chiesa, or church sonata, suggests that it was intended for performance in Holy Week, perhaps on Good Friday itself, which is why Im including it in this roundup. I might equally well have included the recording for the sake of the very attractive Maria Theresa symphony, written to welcome the Empress to Esterháza. Why do writers of CD notes in English persist in calling her Maria Theresia? Its Theresia in German but Theresa in English. All three works here receive attractive performances, serving as another reminder what a shame it was that this period-instrument series of the Haydn symphonies was never completed. The recording is excellent and the notes informative. For recordings of some of the other Sturm und Drang symphonies, Nos. 44-47, see the June 2009 and July 2009 Roundups. 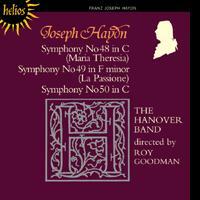 Theres a good recording of another Haydn symphony probably composed for Holy Week, No. 26, known as Lamentatione, from la Petite Bande and Sigiswald Kuijken on a budget Virgin double  download in 320kb/s mp3 for £6.99 from hmvdigital.com, for £5.49 in 256kb/s format from amazon.co.uk, or stream from Naxos Music Library but dont follow the purchase button to classicsonline.com, where it costs an unfeasible £13.98, when the CD set costs around £8.50 in the UK. 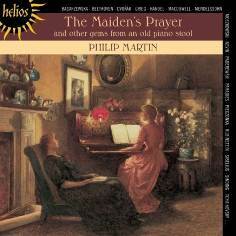 CPO 777 365-2 [65:02 + 55:04]  download from classicsonline.com (mp3) or stream from Naxos Music Library. The download is especially good value at £9.98 for two CDs when the discs typically cost over £25, but the lack of texts is a serious handicap, even with some guidance from Mark Sealeys review. Youll find Metastasios libretto, also set by Salieri and Paisiello, on the web but from sources which may be of doubtful legality. Academia Montis Regalis/Alessandro De Marchi, Alessandro  rec. c.1998? DDD. This is another late-baroque Passion setting which is well worth exploring. The recording seems not to be generally available on CD in the UK or USA, so the download is especially welcome. Theres no libretto and I couldnt discover much about the composer or the work  no entry in the Oxford Companion to Music  but the Latin text of St Johns Gospel is available online. Though comparative newcomers, ICA Classics are already building up an enviable repertoire. I enjoyed their earlier release of Brahms First Symphony and Elgars Enigma Variations (ICAC5019  see June 2011/1 Roundup and review by John Quinn) and was looking forward to this sequel. At first I thought that I was about to be disappointed by the easy-going opening of the first movement of the Brahms  indeed, by the tempo pretty well throughout that movement. This is a gemütlich Brahms, far removed from the craggy Brahms of Klemperer, whose recordings of the Third and Fourth are still my benchmarks for those works; Boult makes him sound more like the affable coffee drinker of the drawing by Batt which was included in the original Oxford Companion to Music. 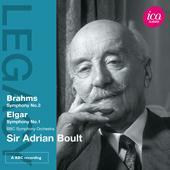 I still hanker after Klemperers Brahms but this smoother Boult recording will be more to some peoples tastes especially as there was a traceable line of tradition from composer to conductor  something even more true, of course, of Elgar and Boult. Though he recorded the Elgar First many times, this performance has a vitality which I find lacking in his Lyrita recording made the same year. The urgency which I missed in the first movement of his Brahms is there in abundance in the first movement of the Elgar. The BBC live recordings are not ideal but they are good enough to convey the sense of occasion in both cases. The audience is pretty unobtrusive, especially by Prom Concert standards. 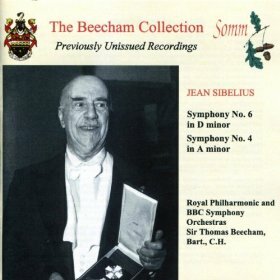 Beechams Sibelius was always very special, as, indeed, it is here, but Im afraid that for me thats not quite enough to overcome the shortcomings of the recordings. Theres a better-sounding version, though still in rather muffled mono and with a bronchitic audience, of the Fourth on BBC Legends, coupled with the Seventh and excerpts from Swanwhite, Pelleas and Melisande and The Tempest (BBCL4041-2, 2 CDs, from classicsonline.com or stream from Naxos Music Library.) For the BBC recording see joint review by Rob Barnett (****) and Gerald Fenech (*****)  here. Beechams 1930s recordings of the Fourth, En Saga, Finlandia, etc. have been well restored by Naxos  in some respects sounding better than the Somm release. (8.110867  from classicsonline.com or stream from Naxos Music Library). See review by Rob Barnett. Seattle Symphony/Gerard Schwarz  rec. 1990 and 1993. DDD. The latest instalment in Naxoss series of reissues of Gerard Schwarzs recordings of American Music with the Seattle Symphony is self-recommending. Two of Coplands best known scores are combined with the more serious, though far from unapproachable Piano Concerto  no longer likely to be thought a harrowing horror as it originally was. Performances and recording are exemplary. Now we need the recording of Appalachian Spring with which the concerto was originally coupled. Meanwhile my recommendation for that work (the complete ballet) remains Michael Tilson Thomas (RCA); at £3.49 from amazon.co.uk, its even cheaper to download than when I recommended it (with Rodeo and Billy the Kid, October 2009 Roundup). Thats at 256kb/s; hmvdigital.com have it in 320kb/s mp3 for a little more (£4.74). 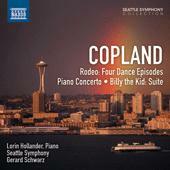 For a real bargain emusic.com have Coplands own recording of the Appalachian Spring Suite and The Tender Land suite for just £1.26  here. Ive sampled this and thought the sound a little thin, but acceptable. Classicsonline.com also have the original Delos recording, again at £4.99, on which the music from Billy the Kid was coupled with just two of the episodes from Rodeo, Outdoor Overture, On the trail from Grofes Grand Canyon Suite and excerpts from Hansons Third Symphony and Hovhanesss Mount St Helens Symphony. (DE1603). This is the (in)famous Proms recording from August 1968 immediately after the Russian tanks rolled into Prague  hence the cacophony of protest at the opening which ICA have let stand, though it partially obliterates the beginning of the symphony. 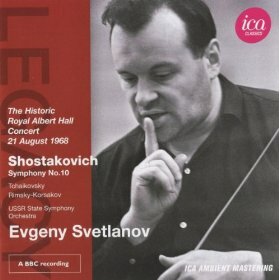 If you dont mind that and the dated BBC recording, the performance starts slowly and builds up to incandescence  it has aptly been described as the performance of Svetlanovs lifetime. ICA have done their best with the sound  its certainly more than acceptable  and the booklet explains what occurred on the night. Not a prime recommendation but well worth having. The fillers are attractive but insubstantial by comparison with the main course; they do at least add to the playing time when the Tenth is usually left alone on a short CD. For all the qualities of the Colin Davis version (formerly Philips, now Decca Opera) the Pears-Britten version from 1958 is the one to have, still sounding excellent in this re-mastered version to which Linns Studio Master download does full justice. The quality of the recording in this format  transferred directly from Deccas 24/96 masters  is exceptional. As for the performance, for all that Im no great fan of Peter Pears voice in any music other than Brittens, he simply is Peter Grimes as no other can be; there isnt a weak member of the cast and Benjamin Brittens direction is definitive. If I get bogged down with comments on recording and price below, dont lose sight of the fact that its for the sake of the performance that I chiefly recommend this download. 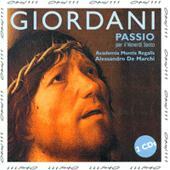 I mentioned the passionato.com lossless version of this recording in the October 2011/1 Roundup, fully intending to offer a complete review at a later date but events overtook me and that link, like all the links that Ive given to passionato.com downloads, no longer applies. That makes the Linn version the best show in town if you want 16- or 24-bit lossless. Whether that makes it worth paying £13 for the 16/44.1 version, when the CDs can be had for around that price, or £23 for the Studio Master 24/96 you must decide. I believe that audiophiles will think the 24/96 well worth the price. Its not very helpful to Linn that deutschegrammophon.com, having licensed this recording to them, undercut their prices very slightly for mp3 and 16/44.1. No doubt their reason for licensing the recording was to call upon Linns technological reputation in offering a Studio Master version, a format which DG themselves dont provide. If youre just looking for mp3, at £10 the Linn download is a little less expensive than the CDs. Emusic.com offer a version of this recording for a ridiculously inexpensive £1.26 or less; I cant vouch for the quality*  their downloads often come at low bit-rates  but by offering each act complete on one track they obviate the one small problem that I found with the Linn download: surprisingly, using Winamp, I occasionally noticed an infinitesimally slight dropout between tracks where the music is continuous. Its hardly a major problem; it wont spoil your enjoyment and you have to be listening carefully to spot it, but its surprising because lossless recordings dont usually suffer from the problem in Winamp. These infinitesimal dropouts dont occur if you play the music via Songbird  like Winamp its free and simple to install and I now recommend its use  but I suggest that, to be absolutely sure, you purchase the flac version rather than the wma which I chose. * the 30-second samples of each act really dont sound at all bad. Royal Philharmonic Orchestra/José Serebrier  rec? (P) and © 2007. 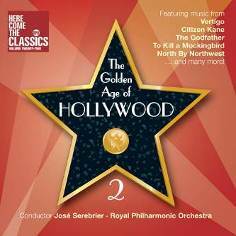 With a Here come the classics sticker on the cover, this album and its predecessor are clearly designed for popular appeal, but most of the music is worthy to stand alongside the classical tradition. Most of the composers, of course, also wrote serious music; in the case of Rozsas score for Sherlock Holmes theres even a direct borrowing from his Violin Concerto. The recording of this work is deliberately heartfelt and drawn-out by comparison with the classic Heifetz/Piatigorsky recording (10:41 against 7:33) but thats my only small reservation about the performances and, in any case, some think Heifetz a little too fast here. The recording is good, a detailed booklet comes with the deal and the price is right  just £4.99. You may also wish to investigate Volume 1 (RPO017). 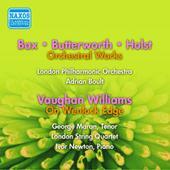 The Heifetz, coupled with Korngold and Waxman, is a splendid bargain as a download for £3.99 from amazon.co.uk. UK listeners will find an even less expensive download of the earlier mono recording of the Rozsa, coupled with Tchaikovsky and Spohr, on Naxos Classical Archives 9.80201  from classicsonline.com for £1.99. The Dublin-born pianist Philip Martin first caught my ear with one of his Hyperion discs of piano music by Louis Moreau Gottschalk. It was a double discovery, because until then Id not heard a note of that composers extensive uvre; happily I was soon able to hear the rest of that cycle (CDS4451/8  review) increasing my admiration for both the composer and pianist in the process. * Which is why I jumped at the chance to review this lossless download of miniatures, first issued in 2003 as CDA67379 and reviewed by Colin Clarke. Apart from Martins intriguing selection  a judicious mix of the familiar and the obscure  I really looked forward to his highly communicative playing style, a blend of discreet virtuosity and infectious charm. As expected, this is a most engaging recital, Christian Sindings Rustle of Spring an effervescent entrée to what follows. As for the title piece, The Maidens Prayer by Tekla Badarzewska, its delivered with all the delicacy and rhythmic felicities that characterise Martins Gottschalk, while Selim Palmgrens May Night is simple yet enchanting. As ever, Hyperions natural piano sound is thoroughly embraceable, offering warmth, detail and an ideal balance. Also Martins touch control  as anyone whos heard Tremolo will attest  is exemplary; the nimble Moszowski Serenata is an apt demonstration of that. What really appeals to me about this particular collection is its salon-like intimacy, the listeners relaxed and the pianist in affable, eye-twinkling mood. Theres a marvellous sense of give and take here, the emphasis not so much on a formal recital as it is on creating a pleasing ambience in which to savour this enticing fare. One of the loveliest pieces is the Paderewski Minuet in G, so sensitively shaped and scaled; indeed, one could almost imagine a smattering of applause and laughter at its close. And even when virtuosity is called for  as in the focused late baroquerie of the Paradies and Handel  its disarmingly done, articulation and dynamics well judged. Programming is all-important in compendiums such as this, if the ear is not to tire or the mind wander. I cant fault Martin here either, as the artful sequence and variety of styles keeps one entertained to the very end. If there are any weaknesses I cant find them; Beethovens trip-tripping Minuet in G is carefree, the Tchaikovsky warmly expressive. As if this werent evidence enough of Martins eclectic range, just sample the coruscations of William Masons Silver Spring. But, as always, this collection modulates back to the key of ease, with a string of familiar, reassuring tunes that will tempt you dim the lights and chill. Of the less well known pieces, Victor Herberts coquettish waltz and Ede Poldinis Marionettes are pure delight  Martins at his most playful here  the disc rounding off with a sit-up-an-listen waltz by Marie-Auguste Durand; a bracing sorbet with which to end this delectable meal. The pdf liner-notes are up to the usual standards of the house and the download process itself couldnt be simpler. An enchanted evening at the piano. Not to be missed. A listing here does not preclude a fuller review later. Amanda Roocroft (soprano), Fiona Janes (mezzo), John Mark Ainsley (tenor), Neal Davies (bass) The New Company, Orchestra of The Age of Enlightenment/Sir Charles Mackerras  rec. 1994. DDD. Download from emusic.com (mp3) for just £1.68 or wait for a version with a higher bit-rate to appear from classicsonline.com. DECCA 476 4342 [76:54]  from hmvdigital.com (mp3, 320kb/s). This ClassicO recording has recently been reissued on the Musical Concepts budget Alto label (ALC1170), but its already available for only £4.99 from classicsonline.com. The download comes with the booklet of notes, though I think they have been abridged since Gerald Fenech thought them something else.